Hollis Shiloh: Easy vs. Hard? I have two new releases out. One was easy to write, one was hard. I don't know if it makes a difference in the final product, but it was interesting to me. First there's a story related to "Jude's Magic," in which Alphonse gets his own story. But Alphonse isn't an easy character. He can be quite difficult, to say the least. I actually set the story aside and decided not to write it. But somehow I needed to finish it. I don't know why. I just had to write this story... Life would've been a lot easier if I hadn't! 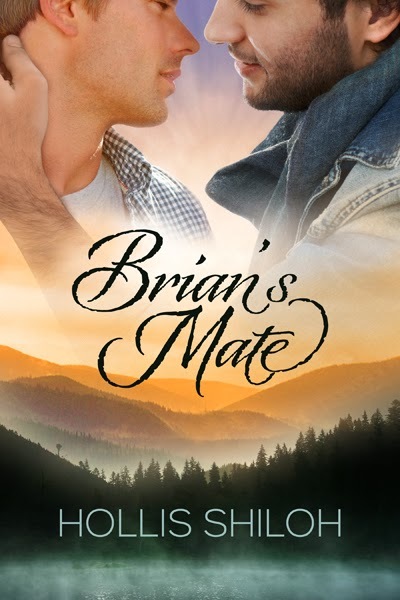 Then there's my newest Dreamspinner Press story, Brian's Mate. It was easy to write. Everything about it was easy! I had so much fun with this story. I just sat down and started writing and enjoyed getting to know the characters. I didn't think it could be very good, since it had been so much fun and so easy to write. But I sent it to DSP anyway--and was shocked when they accepted it. Thrilled, but shocked! And then the revisions weren't too difficult, either. Even when I had to write a couple more scenes to fill out the story in some bare spots...it was SO much easier and more fun than I thought it would be. It's just weird, how some stories are easy to write and some are hard to write. If only that could tell you whether your stories are good or not. But I don't think the author always knows.